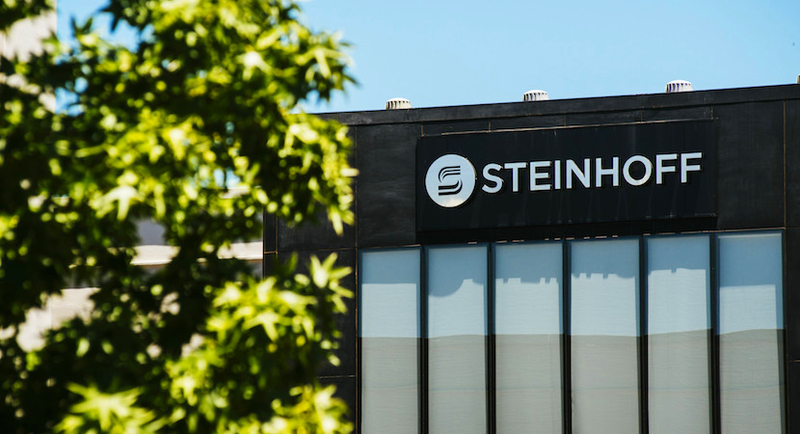 (Bloomberg) — Steinhoff International Holdings NV suspended former Chief Financial Officer Ben La Grange and ex-director Stehan Grobler in the first action taken against current employees of the company following an accounting scandal. While both La Grange and Grobler stepped down from their roles earlier this year, they remained on the pay roll of the South African retailer on short-term consultancy contracts, Steinhoff said in an emailed response to questions Tuesday. Those contracts have been suspended as part of a investigation by PwC into financial irregularities that triggered a share-price collapse late last year. Their departures may extend culpability beyond ex-Chief Executive Officer Markus Jooste, who quit when the scandal erupted and is being investigated by South African police. La Grange, 43, worked as CFO under Jooste for almost five years. Grobler’s positions included company secretary and an executive director of treasury and financing. La Grange’s lawyer, Chris Hessian, didn’t immediately respond to emailed questions or return a call made to his office. Grobler said by phone he was bound by confidentiality agreements and declined to comment further. Steinhoff’s crisis was triggered when Deloitte LLP refused to sign off on financial results for the year ending Sept. 30, 2017. The owner of Conforama in France and Mattress Firm in the U.S. has since said its accounts will have to be restated back at least as far as 2015, and PwC is focusing on a string of third-party transactions and inflated profit values. The retailer has written off the value of assets by more than $14.5 billion, and has made it a priority to identify those responsible. At the annual general meeting in April, Chairwoman Heather Sonn said that any current executive found to have been connected to the financial wrongdoing would immediately be removed. Also on Tuesday, A South African parliamentary committee received approval from the National Speaker to legally order Jooste and La Grange to appear at a hearing after both declined to attend. The ex-CEO has argued that because he isn’t a current Steinhoff employee he can’t speak on behalf of the company and in any case may face criminal proceedings. La Grange said his lawyer isn’t available to accompany him. Under the executives, Steinhoff pursued a breakneck international expansion that included the $5.7 billion acquisition of pan-African retailer Pepkor Holdings Ltd. and further purchases of Mattress Firm and Poundland in the U.K. While all those businesses remain in operation, Steinhoff faces an uphill battle to keep the company afloat even after after agreeing to a debt restructuring with creditors last month. The stock pared an earlier gain of as much as 5.4 percent to close 3.1 percent higher in Frankfurt on Tuesday, where Steinhoff moved its primary listing from Johannesburg in 2015. The stock has lost 96 percent of its value since the scandal erupted on Dec. 5.